I met with Dr. Capobianco a few months ago and she was fantastic. It has been a game changer in terms of life style. Dr. Capobianco was extremely professional, helpful and a joy to work with. I would recommend her and the staff at the office without hesitation. They are always helpful and friendly. 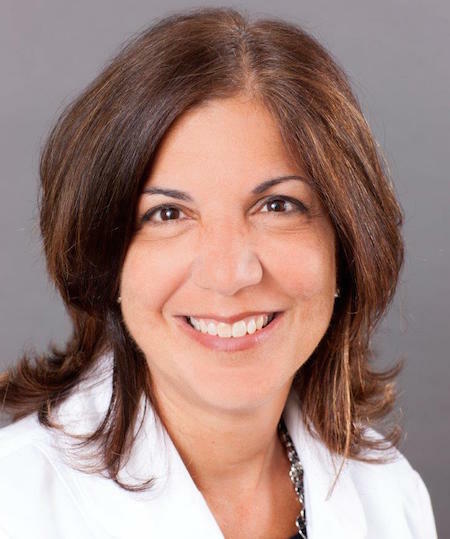 Dr. Maria Capobianco has practiced audiology since 1985. She earned her Doctor of Audiology degree from Salus University, her Master of Arts in Audiology and Bachelor of Arts in Hearing and Speech Science from the University of Maryland. Dr. Capobianco completed her clinical fellowship year at Walter Reed Army Medical Center in Washington D.C.
She then joined the audiology staff at WalterReed where she provided diagnostic behavioral and electro-physiologic audiology testing vestibular evaluations, hearing aid fittings and aura rehabilitation service for patients of all ages. From 1993 to the present she has worked in Otolaryngology practices in the Washington metropolitan area. She joined Chevy Chase ENT & Audiology Associates in 2005. Her areas of expertise include diagnostic and rehabilitative audiology for adult populations, selection and fitting of amplification, counseling and rehabilitation. She is committed to providing the highest quality of hearing healthcare to her patients and their families. Dr. Capobianco is nationally certified by the American Speech-Language-Hearing Association, and licensed by the Maryland Board of Examiners. She is a Fellow of the American Academy of Audiology, and member of the American Speech-Language-Hearing Association.